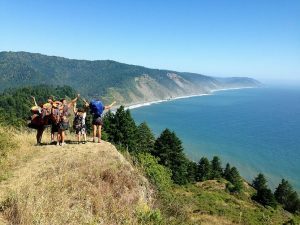 What is it about Humboldt County and Microgrids? 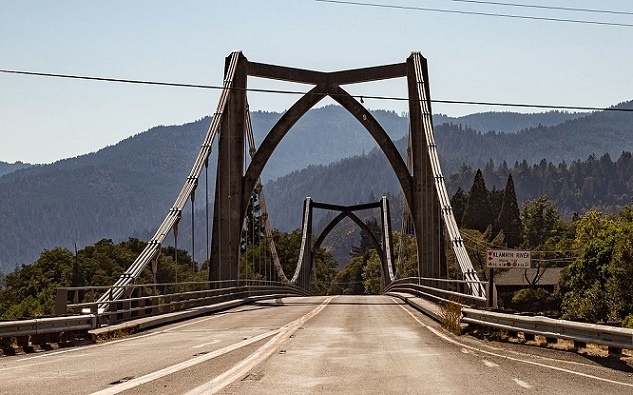 Take note of the microgrid activity in Humboldt County, California, where this week officials approved plans to seek state funding for an airport microgrid. Should the project come to fruition, it will be the community’s second microgrid. The first is the much-cited Blue Lake Rancheria microgrid, now in operation. Two microgrids might not seem like much. But with only 135,000 people, the county would have a ratio of one microgrid per 67,500 people. * That compares to a worldwide ratio of one microgrid per 4 million people, based on Navigant Research’s latest microgrid inventory. Which begs the question: What’s up with Humboldt County and microgrids? Located on 4,000 square miles on California’s northern coast, Humboldt County can be described as highly microgrid-worthy. It is remote, prone to natural disasters, and green leaning. But the region has something else too — a group of about 30 passionate, environmentally conscious engineers, right in its backyard. They work at the Schatz Energy Research Center (SERC), an affiliate of Humboldt State University’s Environmental Resources Engineering program. SERC was behind the design of both the airport microgrid and the Blue Lake Rancheria project. The microgrids emanate from the center’s stated goal of moving us from the “energy hunter-gatherers we are now to the energy farmers we must become.” From SERC’s perspective this requires making renewable energy more affordable and microgrids more replicable. The center operates internationally, but has made a conscious effort to focus locally too, according to Peter Lehman, SERC founding director. In many ways Humboldt County is the perfect playground for engineers trying to improve upon microgrids. Lehman describes the redwood forest community as “an energy island” with only a 70-MW connection to California’s grid. Utility poles and wires traverse rough terrain, in a county that is half the size of the state of Vermont, with one-fifth of its population. “We understand the need to be self-sufficient,” Lehman said. Resilient power is crucial to the California Redwood Coast-Humboldt County Airport, especially during a disaster, given that the community’s road access is limited. Only two highways connect the county to the rest of the world, one restricted this week because of the fires in California, another from earlier landslides. “We have more earthquakes than any other area of California. Floods, fires, tsunamis — a lot of things that could happen. We need to be ready. The airport is a link to the outside world,” Lehman said. Electrical power is essential. Our homes, businesses, healthcare, community infrastructure and educational institutions all rely on power. Yet, due to an aging infrastructure and increasing demand, our electrical grid is not as reliable or resilient as we need. Download this white paper to learn more about smart energy alternatives. The county’s Board of Supervisors gave the project the okay earlier this week to seek $2 to $5 million in funds from the California Energy Commission, which has made $44.7 million available for microgrids. SERC will submit the grant; other partners working on the airport microgrid include the Public Works Aviation Division, the Redwood Coast Energy Authority (RCEA) and Pacific Gas & Electric (PG&E). The solar plus storage microgrid will be designed to provide more than one function. During an emergency it would island and supply power to the airport (served by two commercial airlines), along with a U.S Coast Guard Station, an animal shelter and other small electric accounts. During normal operations, the project would supply power to a community choice aggregation, a state-sanctioned program that allows local governments to offer consumers cleaner energy under flat rates competitive with local utilities. The microgrid would increase the aggregation’s access to renewable energy and lower its greenhouse gas emissions. Situated on nine acres, the airport microgrid will include two solar arrays. The smaller one will be sized for 250 kW. The capacity of the larger array has yet to be publicly specified. The project also will include an energy storage battery system and up to four electric vehicle charging stations. Various partners will own pieces of the project. The utility, PG&E, will retain a distribution circuit, switch and related equipment. RCEA will own the larger solar array, battery and EV charging stations. The county public works department will own the smaller array. The energy world has already taken note of Humboldt County because of Blue Lake Rancheria. Often cited as an example of how to build and operate a low-carbon microgrid, the project is now under consideration as a finalist for two prestigious industry awards, one from S&P Global and the other Pennwell. The project allows the tribal community to back-off use of fossil fuels and employ solar and battery assets to reduce carbon dioxide emissions by 150 tons annually. Managed via an advanced control system by Siemens, the Blue Lake Rancheria microgrid leverages its on-site generation and grid power to keep electricity prices in check for the tribe. Blue Lake Rancheria calculates that it will save about $250,000 per year on energy, allowing it to increase tribal employment by 10 percent, according to SERC. Blue Lake Rancheria was granted full permission to connect to the PG&E grid on July 28. The Humboldt County Airport microgrid is in early stages and its fate may rest on how well it does in the CEC grant competition. In any case, look to the faraway community — and its energy engineers — to continue to offer microgrid lessons for the wider energy world. * Editor’s note: The microgrids do not actually each serve 67,500 people; the ratio is provided solely to illustrate the frequency of microgrids. Track the progress of the Humboldt County Airport microgrid and similar projects. Subscribe to the Microgrid Knowledge newsletter. It’s free. Denver’s Peña Station NEXT: This Way to Energy Utopia? For the record, ACV has several enormous backup power generators. Each has a tank of jet “A”. The one that runs the terminal automatically in the event of a power failure is a two-room power station. The fire hall has it’s own, which can run the fuel pumps, etc. The last airport manager that was a pilot insisted even if we had to pay for it that all of these generators not run on natural gas, since this supply could be cut off in an earthquake. The County of Humboldt and the FAA also have generators to run the entire airfield, including but not limited to lighting and navigational aids. I know of no reason why these generators could not run diesel biofuels. I hope the so far these clueless folks that are proposing these arrays don’t continue to put the aircraft in harms way. They have had to move these arrays around the objections of the Humboldt County Aviation Advisory Committee. With 800 acres, you’d think they could have found a space other than ramming them against the main runway and it’s approach. No aircraft are put in harms way by properly sited solar arrays at airports. The FAA has policies for how to site solar power systems at airports, including how to reduce glint and glare impacts. The point about diesel biofuels makes sense, and those resources will continue to exists alongside solar. Even so, in a prolonged emergency, supplies of diesel can be depleted. But the sun always rises. If a jet skids off a runway, which google alerts to weekly it seems, will the solar array be frangible? ACV has had 285 day per year of fog or low overcast, in which 10% of the sun’s energy gets through. I took an upper division alternative energy engineering class at HSU with a course grade of A, 100 out of 100 on the final (highest in the class). With 30 years of Cal-PERS safety retirement credit in the airport firefighter group as an airport service worker, I have seen first hand what salt air does to metal at ACV. It either oxidizes or rusts. ACV was considered to be the foggiest spot in the western hemisphere, third foggiest spot in the world. The sun always rises, but at ACV more often than not you only see it poke out for a moment between layers during the partial afternoon clearing—with 50% of possible sunshine. The airport was built by the United States Navy during World War II to test defogging systems. It operated in support of the Naval Air Station Alameda as the Arcata Naval Auxiliary Air Station (NAAS) and was headquarters for the Eureka section of naval local defense forces for the 12th Naval District. In December 1947 a Southwest Airways Douglas DC-3 flying into the airport made the world’s first blind landing by a scheduled commercial airliner using Ground-Controlled Approach (GCA) radar, Instrument Landing System (ILS) and Fog Investigation and Dispersal Operation (FIDO)oil-burning units adjacent to the runway. By the following year the airline had made 1,200 routine instrument landings at the often fog-shrouded airport. Below minimum visibilities of 0.25 runway visual range (RVR) often cancel flights at ACV, as the airline cannot get an air traffic control issued clearance from the FAA to do the approach due to fog—often when the dew point and temperature are the same. Vertical Visibility is a similar problem. Hence the solar array will be producing more oxidation and corrosion than electricity in the drizzle of salt air. As a professional journalist, please educate yourself on what “begs the question” means. The reading public receives no benefit from writers who don’t understand what they are writing. Regarding the subject matter of the article, another solar microgrid in Humboldt County, this is an expensive joke. Solar systems are inefficient even in sunny climates. To do something about climate change, we have to build more nuclear power plants. Not so. The unsubsidized levelized cost of renewables beats dirty energy on practically all cost-effectiveness measures without considering the enormous social subsidies (e.g., health and environmental costs) of dirty energy. 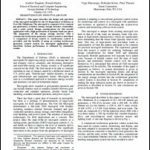 This paper describes the design and operation of the microgrid installed for the US Department of Defense at Fort Sill, Oklahoma. 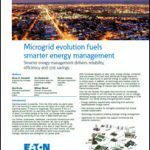 To learn more about how to design and operating a microgrid download this white paper.